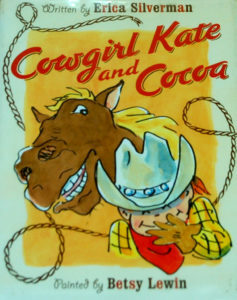 Cowgirl Kate and her horse, Cocoa, are good friends who spend time riding, and counting and herding cows. Like most friends, they disagree sometimes - for instance: is it time to eat, or time to count cows? 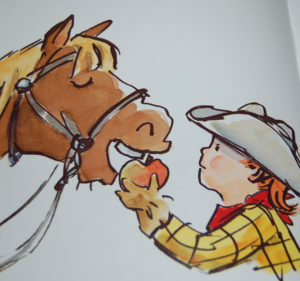 When Cowgirl Kate and Cocoa ride into the pasture, Cocoa needs a drink of water, then an apple, then another apple before he can herd cows. When Cocoa then is too full to do anything, Cowgirl Kate tells him the story of how they came to be together. After the story, Cocoa is ready to work. Other adventures include counting cows together - Cocoa interrupts the counting to eat grass, and Cowgirl Kate tries to get high enough in a tree to see to count the cows - and Cowgirl Kate giving Cocoa a surprise gift that he tries to eat before realizing it is something to wear. In the final chapter, Cowgirl Kate sleeps in the barn one night. She crawls into her sleeping bag. Cocoa asks her to fluff his straw. After she fluffs the straw, Cowgirl Kate crawls back into her sleeping bag. Cocoa is hungry. Cowgirl Kate gives him three carrots. Cocoa needs more water. Cowgirl Kate fills his water bin. When Cowgirl Kate crawls back into her sleeping bag, she cannot sleep. Cocoa sings her to sleep. This is a cute book for beginning readers. 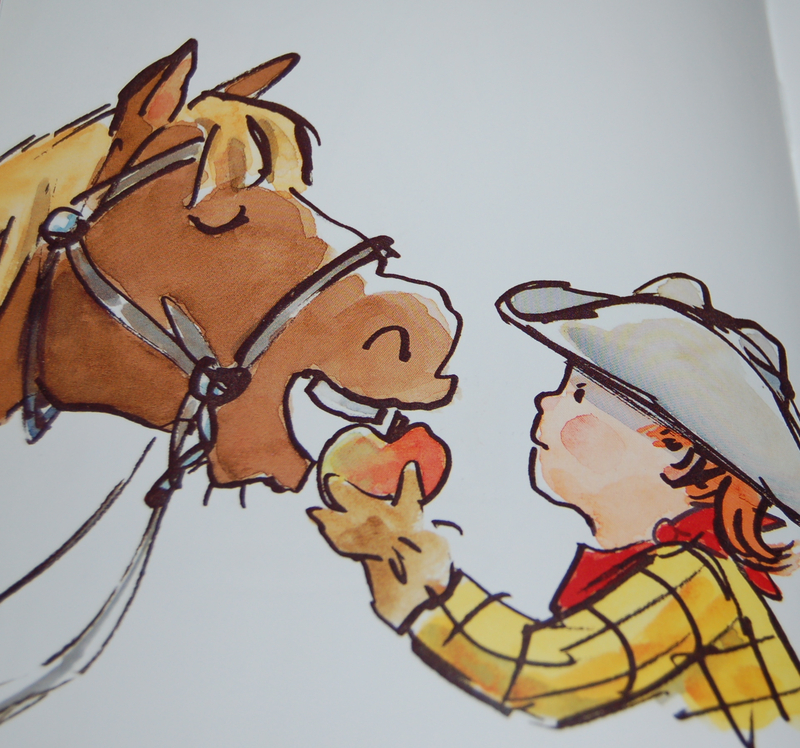 Betsy Lewin's (think Click Clack Moo) colorful illustrations appear on every page. The story is told in four chapters. This is a sweet - and sometimes silly - story about friendship and working together.